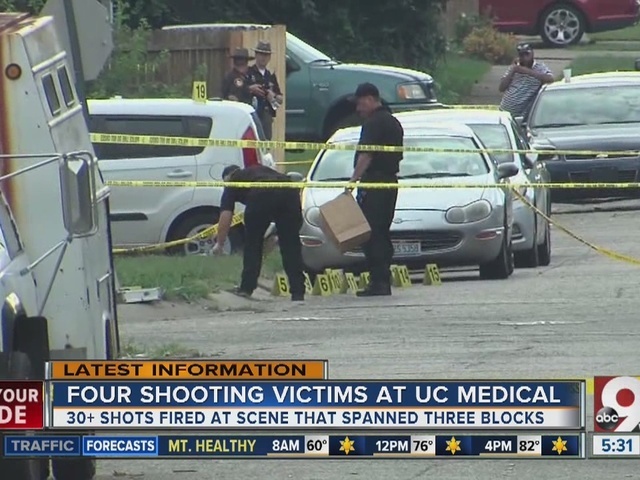 LINCOLN HEIGHTS, Ohio -- Four people were treated at University of Cincinnati Medical Center after about 100 rounds were fired in a "gun battle" between two groups of people in Lincoln Heights Sunday, authorities said. Hamilton County Sheriff's deputies were called to two crime scenes at about 1:30 p.m., one on Adams Street and the other a block over, on Jackson Street. Lincoln Heights residents Christopher Kinsey, 26; Andre Gilbert, 28; and Joseph Ford, 50, and a 17-year-old boy received non-life-threatening injuries during the incident, Hamilton County Sheriff's Lt. Barbara Stuckey said. Two arrests have been made in this case, including Kinsey. He was charged with one count of weapons under disability (possession of a firearm after prior felony convictions) and receiving stolen property (AR-15 rifle). Abdullah Luqman, 48, of Lincoln Heights, was charged with two counts of receiving stolen property (two handguns). The Hamilton County Sheriff's Office is asking anyone with information about this shooting to please contact our Criminal Investigative Section at (513) 851-6000 or Crime Stoppers at (513) 352-3040. Bureau of Alcohol, Tobacco, Firearms and Explosives is investigating the shooting with Hamilton County deputies. Occhipinti said they believe two to three people were behind this shooting, and they conducted two search warrants Sunday night. Although four were injured in the shooting, Occhipinti said the situation could have been much worse. 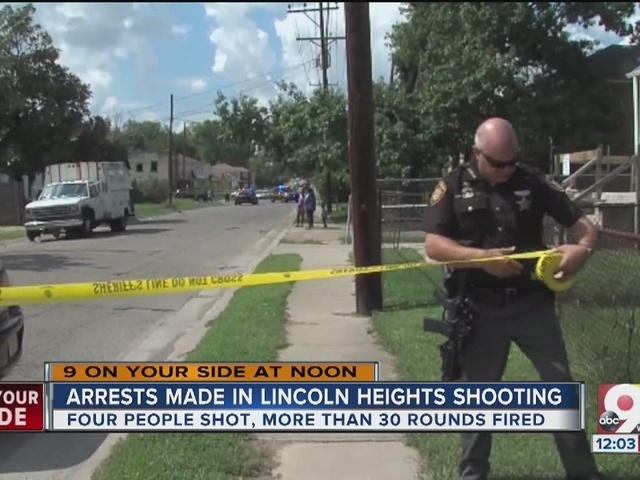 Richard Headen, mayor of the village of Lincoln Heights, said the area is trying to rebuild itself, and most of the people who commit these crimes do not live in Lincoln Heights. "We're going to work very hard with the sheriff to get rid of this, and we need people when they see something to come forward,” Headen said. “Because your kids could be running around in the street and be hit with a stray bullet. We will not tolerate this in the village of Lincoln Heights." 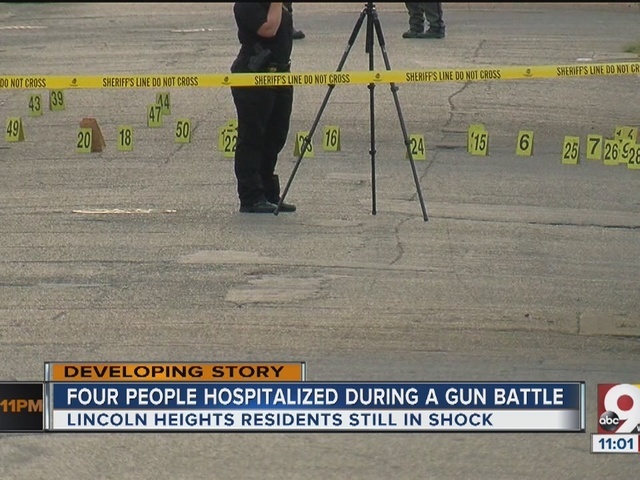 Occhipinti said fear is on the minds of Lincoln Heights residents.